In Dharavi, does time exist in any form other than intense immediacy or eternity? Being a passenger in a rickshaw, one becomes aware – among other things – of how incredibly intense the ‘present’ is in India, emotionally, of course, but also in terms of sheer intensity. By observing how people live in places like Dharavi, we find that this “power of the present” seems to be everywhere, and only opposes that of “intemporality”—as though only the immutable stood in opposition to the present. Time therefore segues between the present moment and permanency. The notions of waiting, of series of activities and tasks seen as a “schedule,” of the future, and of planning in general are not obvious to me. Wandering through the narrow streets and alleys, I am lost in this impression that time does not exist, when suddenly a phone rings or a chance meeting takes place, bringing me from eternity to the now. This immediacy reminds me of the use of cell phones and telecommunications in our Western lifestyles, except that here, browsing and communication essentially take place at the micro-local level, with someone who might only be a block or two away — much like how people communicate at big festivals when they lose track of their friends. This feeling of a non-existent future is nonetheless paradoxical. While I have the impression that an unsurpassable present dominates – one that has seemingly trapped the poor areas of Mumbai in a kind of pre-Modernity, I know very well that Indian society is changing, especially with regard to caste system and its role as a social marker. The idea of a better life and upward social mobility is also very present in India. We see evidence of this in the many success stories that fill the columns of weekly newspapers, or the ostentatious nature of the success of certain individuals displayed in the form of extravagant architecture or fancy cars. All of these points, to me, reveal a paradox, upon which I have pondered: the idea of the future – of the possibility of a future in the short, medium and long term that is neither the very next moment nor the permanence of tradition – socially speaking seems very localized. How to build social cohesion democratically in such a context? 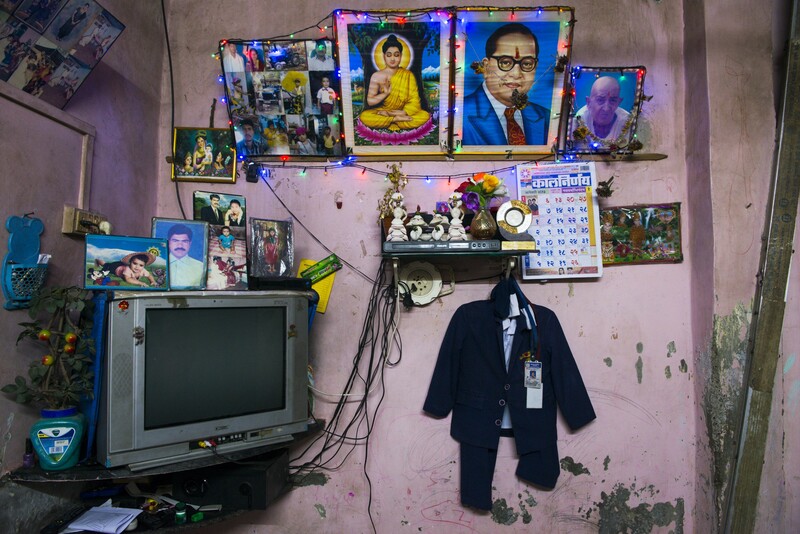 Is Dharavi specifically, and the slums of Mumbai in general, simply “giant houses”? Wandering through Dharavi, observing the passersby, I feel that I am in a gigantic house – a house with millions of rooms, tiny hallways, balconies, and staircases. Everyone lives side by side and, to my eye, seems to feel at home anywhere in this neighborhood, unaware of the boundaries between inside and outside, the public space and the private space, and the “empty” and the “full” of architects. But do such boundaries only exist in poor areas of Mumbai? The plethora of religious affiliations is apparent in the slums of Mumbai; Hindu temples stand side by side with mosques and Christian churches. At my request, my guide-interpreter gestures to streets as if to say “Look! They live next door to one another but they aren’t the same religion.” Then he introduces me to people, bringing my attention to the diverse castes. My observation is always the same: people mix in space. Behind these observations lies a second paradox: the diversity we find here is nonetheless highly segregated, based on social belonging: castes and religions do not intermarry, or seldom do so. My urban wanderings in Mumbai leave me thinking that, in India, geographical coexistence and social diversity create very different relationships than the ones we know in Europe and North America. More specifically, the intermingling of people with different belongings in a given space is not associated with a specific sociological mix. In other words, it is not just because we are neighbors that we see each other every day or that, because we more or less share the same space, we’ll get married! In a certain respect, this spatial configuration is not an accurate indicator of how the social space functions in poor areas. In many respects, the Indian city as we see it in the self-built, poor neighborhoods of Mumbai reminds me of the sustainable cities that many European cities are dreaming of — with systematic recycling of objects, local production of objects consumed locally, and a strong mix of functions, thus limiting daily commutes. But this observation goes even further, as poor areas of Mumbai are still strongly linked to the rural world through intensive use of telecommunications (cell phones) and the train – an inexpensive mode that directly links the city to the rural world, allowing for a unique urban-rural balance. In this reality, poor and rich alike are connected and mobile. However, this, again, is very unusual. 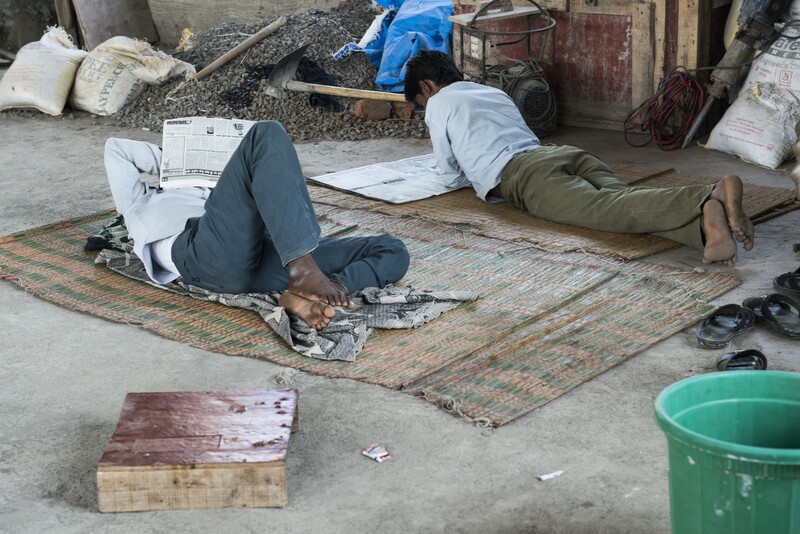 Because of the train, inhabitants of areas like Dharavi have access to reversible forms of mobility, such as polytopic housing and long-distance weekly commuting, the likes of which are currently developing in Europe. It is therefore not a case of urban growth, where rural exodus drains the countryside of its lifeblood, but rather of a decentralized urban model – a bit like what Francois Ascher meant by the word “metapolis.” This finding (which would need to be supported with ambitious empirical research) suggests that the urban evolution taking place in India is similar to the one taking place in Europe. Consequently, the territory is changing due to the influence of telecommunications and the train – as much (if not more) than by the automobile – which, again, is a paradox in a country where car ownership is increasing and investments in highways are substantial. Vincent Kaufmann is the director of the Laboratory of Urban Sociology (LaSUR) at the Swiss Federal Institute of Technology in Lausanne (EPFL) and a pioneer in mobility studies in sociology. He also serves as a scientific director of the Mobile Lives Forum in Paris. He was a participant at the Homegrown Neighbourhoods workshop organized by URBZ and the Institute of Urbanology in Mumbai and Goa in January 2013. The photos illustrating this post were taken during the workshop by Julien Gregorio of Phovea, Geneva. 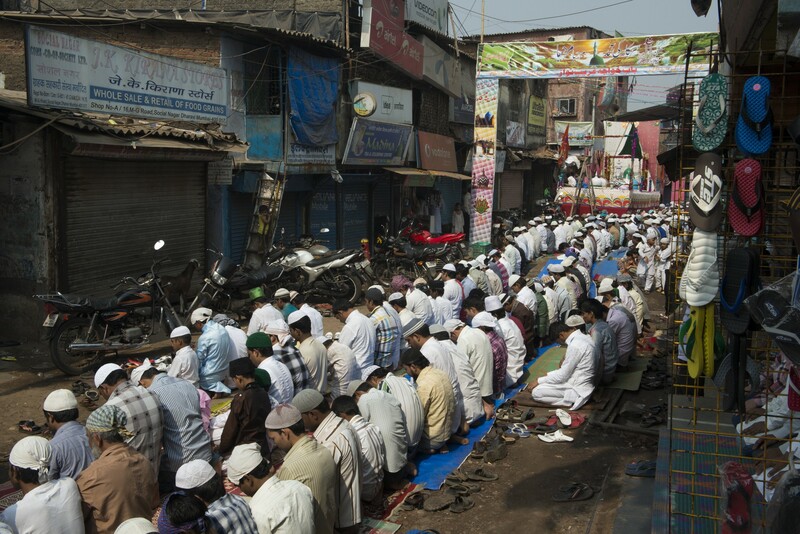 More photos of Dharavi here and here.